83 MILES PER HOUR | 83 Miles Per Hour | OK Listen! 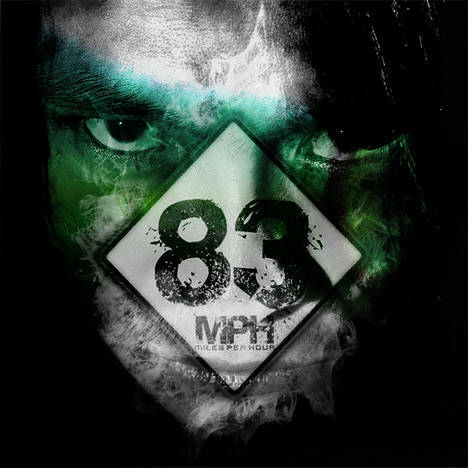 Self titled EP "83 MILES PER HOUR" is the brainchild of 83 Miles Per hour. After 2 years of the band's existence, they talk about living a carefree life and an "I - don't - give - a - damn" attitude locking horns with the law, creating havoc wherever they go. The fantasy of all fantasies, dream of all dreams and an undying lust for the "unthinkable". This might sound like figments of imagination, but, it is what it is. Keep Living !!! No matter what life throws at you, journey on and at the end of the day, the 'Good Ole Baldy' will fix it all with the thunderous pounding of the drums, electrifying precision of the six and seven strings, exuberant flux of voice, topped off with a technical execution of Keys! Let - Da - Muzik - Do - The - Talking !!! Mixed and Mastered by Akash Shivakumar at Cadence Studios, Bangalore.